In the end of December 2017, GlobeCore specialists visited the United States, commissioning a CMM-10TS unit in a suburb of Chicago. This unit is different from our stock products, since it was built to employ heat and vacuum to remove water from highly viscous industrial oil. During the commissioning, the unit was able to remove about 16 liters of water from one cubic meter of oil. This is the equivalent of 16 000 ppm water content. 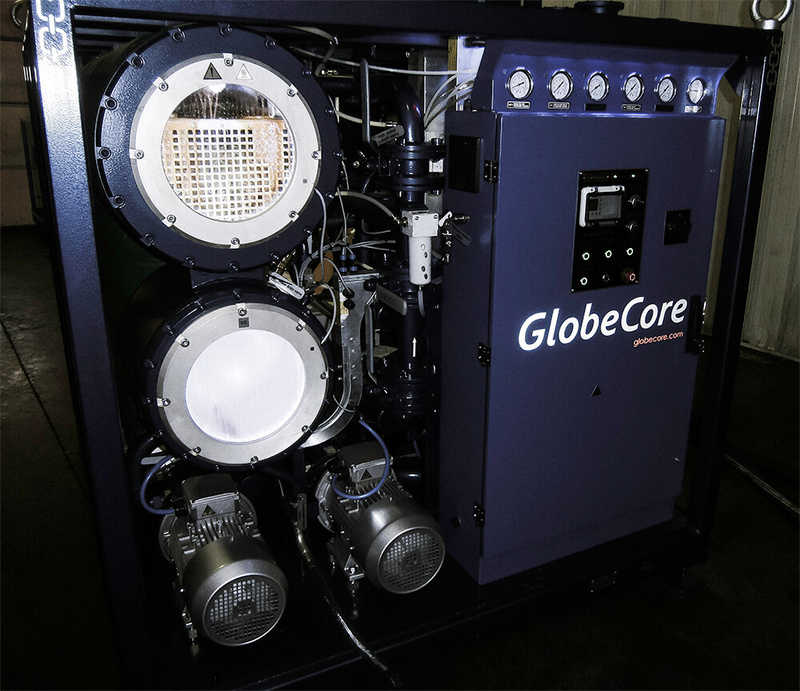 As always, GlobeCore is ready to take orders to manufacture custom equipment.